DAVIS – Every year since 2000, when then-presidential candidate George W. Bush called China a strategic “competitor” of the United States, I have welcomed the arrival of Christmas with a sigh of relief that a Sino-American trade war was averted for another 12 months. But by January, my holiday cheer is usually replaced with dread because the tensions fueling Bush’s rhetoric – and the reasons he dismissed Bill Clinton’s preferred label of “partner” – have never adequately been addressed. And, as we are seeing now, the risks to the global economy have only grown more ominous in the years since. The escalating US-China trade war is a response to three concerns that American leaders have long articulated: job losses, competition over technology, and a perceived Chinese threat to US national security. The first concern – American job losses to China – is viewed as a byproduct of China’s trade surpluses, which the US has typically sought to remedy by advocating for renminbi revaluation. But this approach is misguided; the exchange rate is just one factor causing the trade imbalance, and any appreciation of the renminbi is unlikely to alter the status quo in a multipolar world. Consider, for example, what happened after implementation of the 1985 Plaza Accord, which drove up the value of the yen: the US bought less from Japan, but bought more from other countries, causing the overall US trade deficit to remain roughly unchanged. The US-China trade imbalance stems from structural flaws. For China, those flaws include a weak social safety net, which has raised savings rates, and the backwardness of a state banking system that has lowered investments and sent excess savings abroad. For the US, on the other hand, soaring military expenditures and frequent tax cuts have created the economic conditions for trade deficits, and ineffective adjustment programs have only exacerbated the impact of trade on jobs. The US obsession with renminbi appreciation as the silver bullet for the bilateral trade imbalance has merely diverted attention from addressing its real causes. The second issue pushing the US and China toward a trade war is competition over technology. For decades, and especially since the mid-1990s, China has made knowledge transfer via joint ventures with Chinese partners a condition for access to its large market. Many US business executives are finally opposing these policies, complaining of being “forced” to share their technology. This chorus of grievance is so loud that tech “theft” may be a bigger concern for Americans than the size of the US trade déficit. And yet, given that the businesses involved are all willing participants, terms like “forced” and “theft” are red herrings. Moreover, the products that foreign-invested joint ventures produce usually enjoy monopoly prices in China, a benefit that weakens the American argument further. Still, China’s leaders should not be tone deaf. In the absence of antitrust agreements, trade disputes involving a party possessing market dominance are typically settled only by the ability of the “victim” to mobilize retaliation. With the US government now taking action on behalf of US firms, China’s industrial policies will need to change accordingly, especially if European governments follow America’s lead, as some may. There are many reasons why the current US government is acting so aggressively now, but two stand out: first, an increased sense of vulnerability proportionate to America’s declining global influence; and, second, the technologies China is now acquiring from foreign companies are frontier technologies. While China may never become a truly global hegemon (because its rise is coinciding with that of India), the US nonetheless feels threatened by China’s rapidly growing geostrategic presence. And this brings us to the third US concern: national security. Underpinning the anger over technology transfer is a belief that American ingenuity will one day be used against American interests. But this, too, can be addressed. For example, the US could strengthen the review processes carried out by the Committee on Foreign Investment in the United States (CFIUS). With more CFIUS input on the types of foreign partnerships and deals that require federal approval, the US could reduce the risks of technological blowback. As the international order moves from an era of US-led hegemony to one of multipolarity, overlapping spheres of influence will increase the chances of economic and political friction. Global prosperity requires that the multilateral free-trade system be maintained and strengthened, and this can be achieved only if the national security interests of regional powers are assured. It is therefore important that leaders in both the US and China recognize the complexity of their relationship. On issues like nuclear non-proliferation, the two sides are strategic partners, as Clinton argued. But in other areas, such as research and development, Bush’s “competitor” label is more apt. To bridge this divide and reduce tensions, leaders must pursue confidence-building measures. For China, this could mean ensuring more reciprocity in its trade and investment relations with the advanced economies, despite its World Trade Organization status as a developing country. 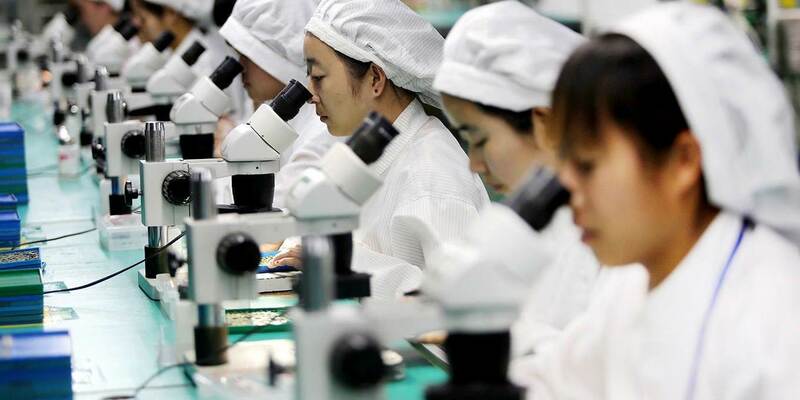 It could also mean offering national treatment (the same registration process as for domestic enterprises) to more foreign firms and easing constraints on foreign acquisitions of Chinese firms, in a way that is consistent with national security. As for the US, it should stop equating strategic competition (often a zero-sum game) with economic competition (which may be zero-sum in the short run, but creates win-win outcomes in the long run). National economic dynamism and resilience emerge from allowing international competition, not from insulating domestic high-tech firms permanently. The current US-China trade conflict has been decades in the making; rolling it back will require both sides to acknowledge that old ways of thinking on trade have become counterproductive. Unless both sides start distinguishing between economic and strategic competition, the US-China trade war will not be over by Christmas. Wing Thye Woo is a professor at the University of California, Davis, Sunway University in Kuala Lumpur, and the Chinese Academy of Social Sciences in Beijing.